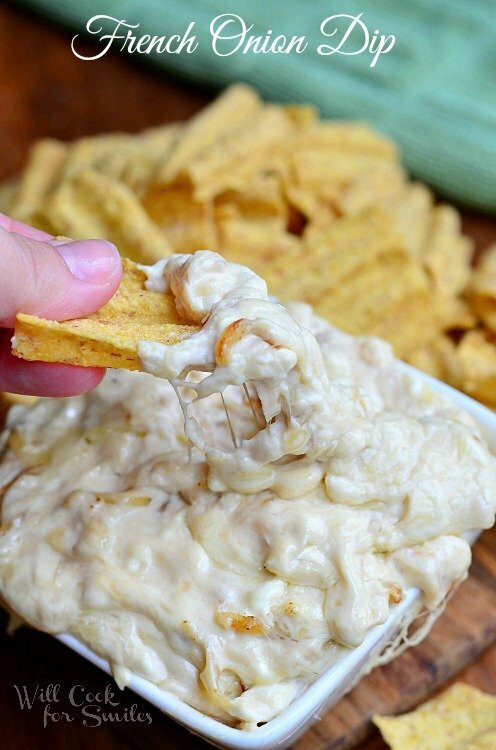 Homemade White Queso Dip is perfect for any party. 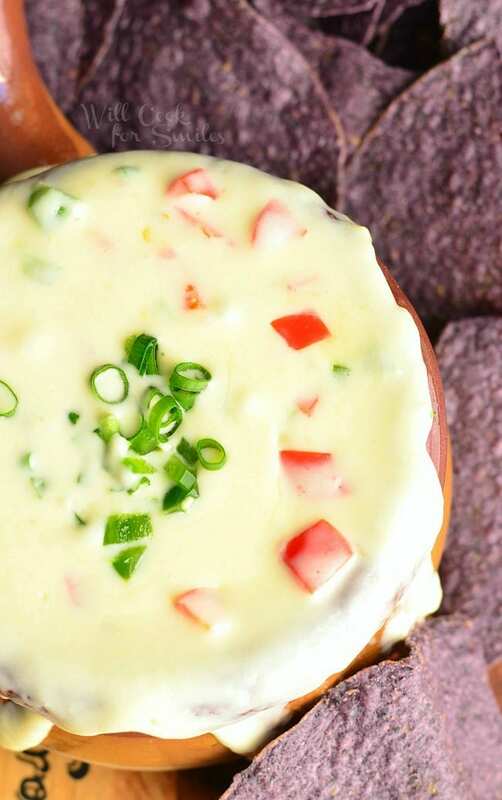 Spicy, cheesy dip made with two kinds of cheese, jalapenos, bell peppers and green onions. 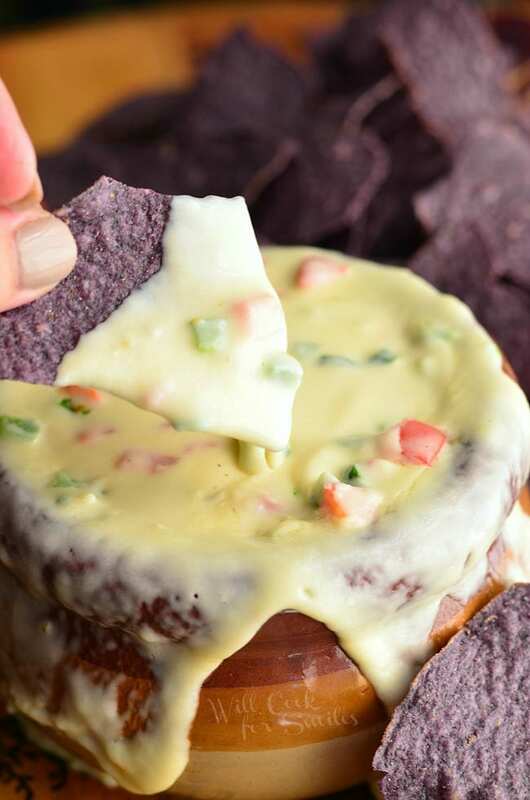 This Queso Dip is made without Valveeta. Only a few days left ’till the big game! I can feel the excitement building up. I can feel the tension building up too! My best friend already called me a few days ago to ask me, “You do know who is in the Super Bowl, don’t you?” Well of course I know! See, there is a long standing rivalry between our families (not her and I of course, we don’t let sports come between us). They are Red Sox and Patriots fans and we are Yankees and Giant. I don’t think that I need to explain any further. Of course, I knew I had to hear about it soon enough. Good thing that we’re not actually spending Super Bowl together or I’d never hear the end of it. But as long as there is food and fun, everyone can be happy, even fans of rival teams. So hopefully, you will have plenty of delicious party food to keep all fans calm and satisfied, NO matter who they are rooting for. Me, my team didn’t make it so I am in it for the food, commercials and half-time show. 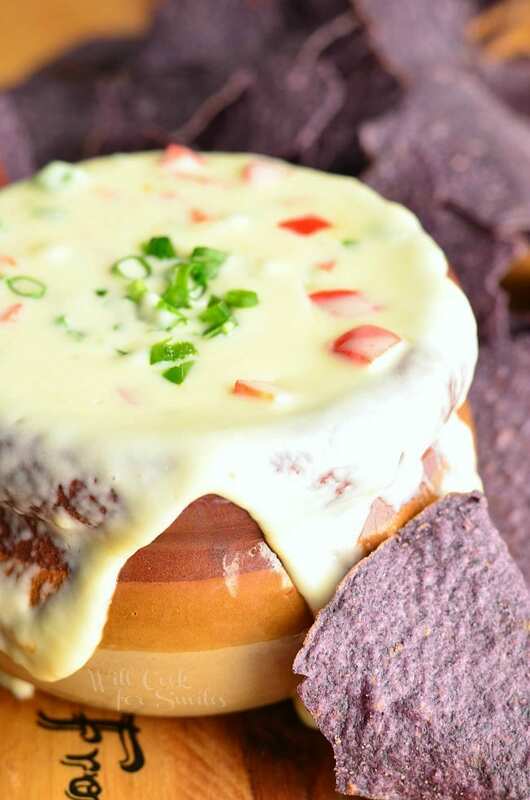 Speaking of food for the Big Game, this Queso Dip is awesomeness in a bowl! It was inspired by the nachos I posted a few days ago. 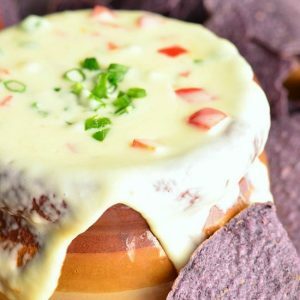 I loved the taste of homemade nacho cheese with Pepper Jack cheese and decided to make a similar dip. 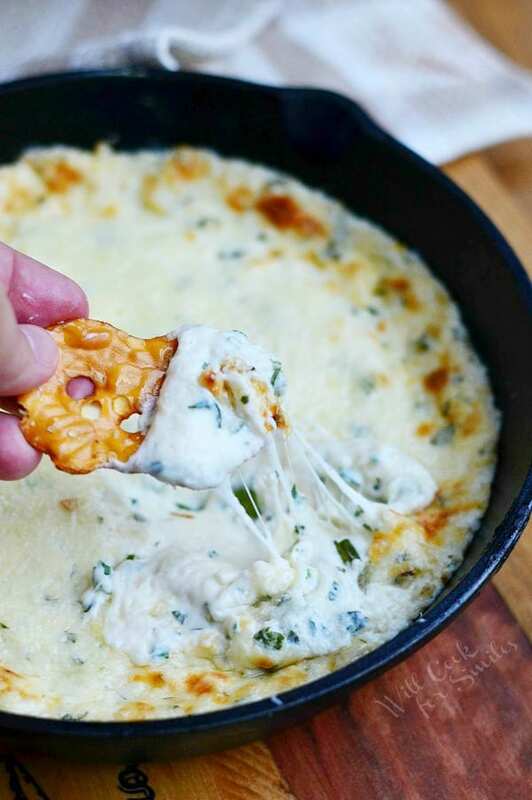 This dip turned out so tasty, creamy and cheesy, it will make you do and happy dance at every bite! 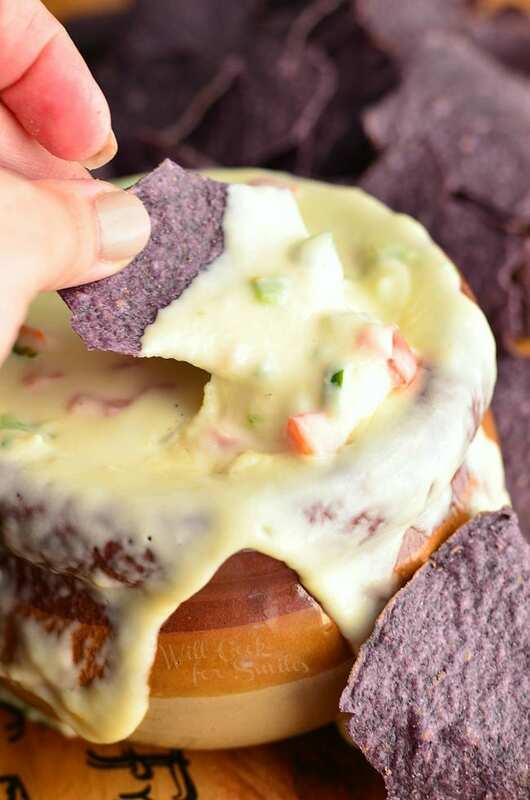 Doesn’t this dip look like the best overflowing cheesy goodness?! Yea…that’s what happens when you try to make a little drizzle over the edge for a better picture and your son runs into you full force! Just for fun. I thought it ended up look pretty appetizing, with all the cheesiness running over the edge, so I left it. Grate cheeses on the large grater and set aside. Dice jalapenos and bell pepper and set aside. 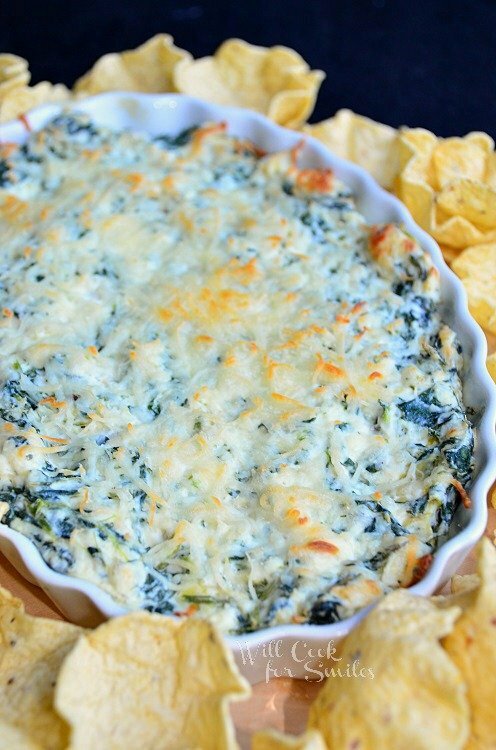 In a medium sauce pot, over medium heat, melt butter and whisk in flour until smooth. Pour in heavy cream while whisking. Press garlic and add it to the pot. Add all diced peppers. Start adding cheeses to the pot, while slowly whisking. Continue stirring with the whisk until cheese is all melted and smooth. 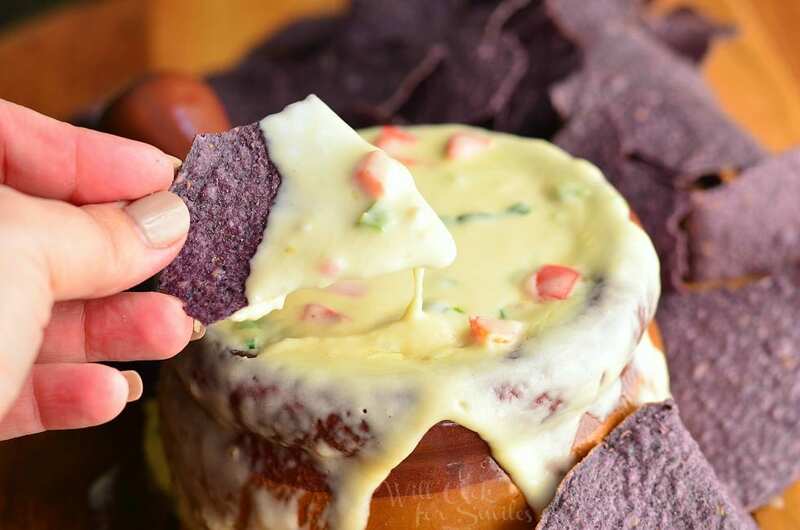 This looks like ooey gooey cheesy perfection! I love spice, so I’d toss in a little more cayenne and go to town. Enjoy the game! Sounds so good – thank you and have a great weekend. Hey, stop by my party this Tuesday night after 7pm ET to share it? 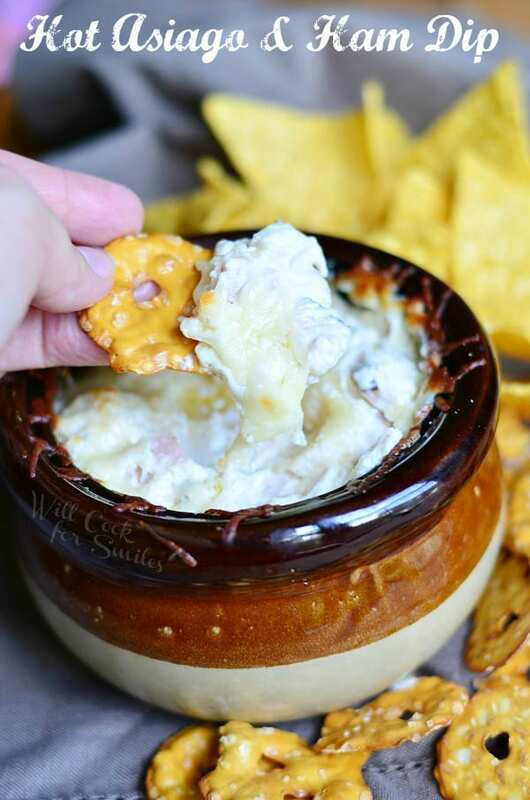 Will this dip last a few hours warmed in a slow cooker/crockpot? If like to keep it warm while serving at a party. I’m so sorry for such a late response. I believe this will be okay in a warm crock pot, set on the warm setting. I hope you enjoy it!